Self assessment activities provide opportunities for students to evaluate their own progress. A key aspect of a university degree is that it enables students to become independent learners who are able to their strengths and weaknesses and manage their own development needs. Every course at UCA requires students to engage in what is called ‘independent study’. However, students are not always clear what this means or how to go about it. Self assessment activities provide a clear framework to support and guide students in their independent study and help them take control of their personal development. 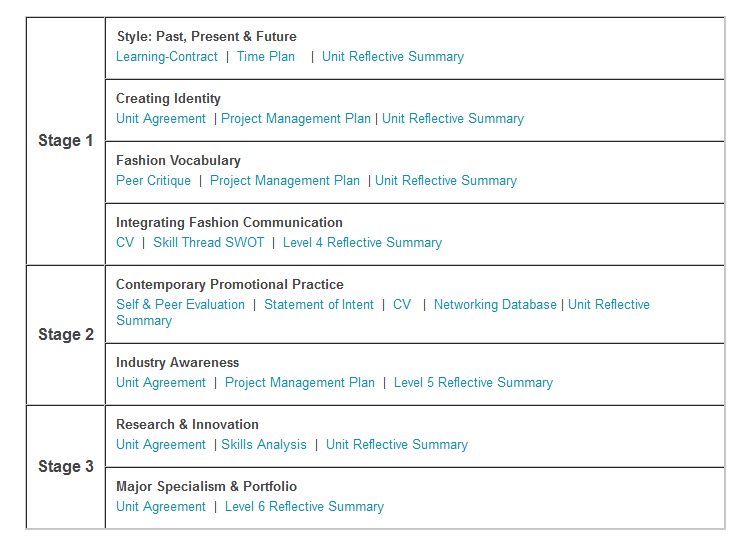 The Fashion Promotion course at UCA Rochester has developed an innovative approach to self assessment using myUCA. With the help of their Learning Technologist, the course team began by developing a series of simple Word documents that contained questions to prompt students to think about their learning. These included a Learning Contract, Time Plan, and Unit Reflective Summary. A ‘personal development’ area was then created in the myUCA course area. Students were introduced to this by their tutors, and were shown how to download and complete the documents. 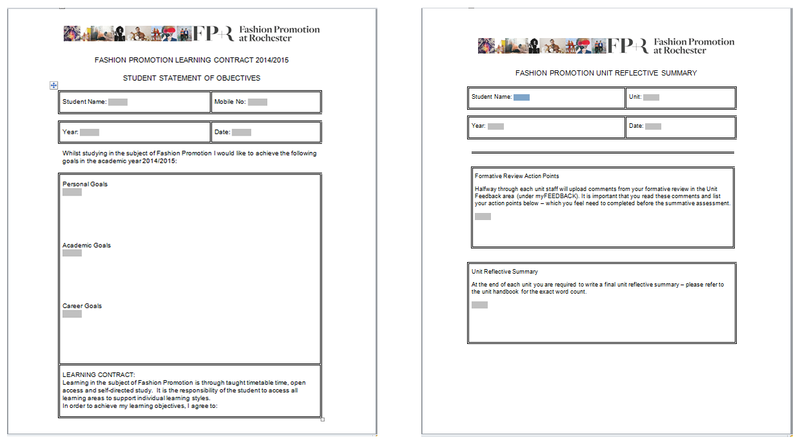 Once they had completed each document, they were asked to upload it to their private personal development folder. Using a personal development area to provide students with self assessment tasks is a valuable way to guide their independent study activities. To explore self assessment opportunities in your course or unit, please contact your campus Learning Technologist who will be happy to help you.